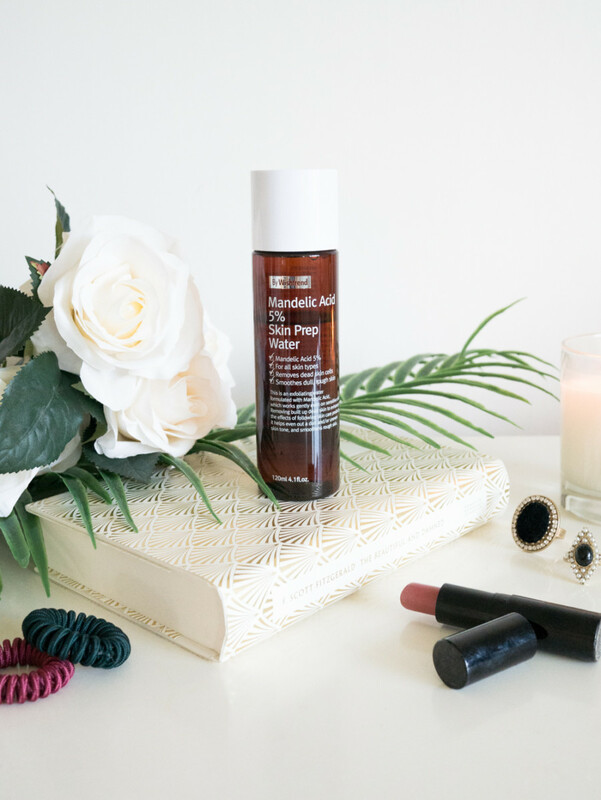 Mandelic acid is an alpha hydroxy acid (AHA) that exfoliates your skin in the same way as salicylic or glycolic. It also accelerates skin cell turnover and with that reduces fine lines and improves skin tone, texture, pigmentation and acne scarring. Mandelic acid is also anti-inflammatory so it helps to keep break outs under control as well as taking down any redness. Not only that but it’s way more gentle than salicylic as it’s molecules are bigger so it doesn’t penetrate your skin as deeply. Sounds perfect right? So if you have sensitive or acne prone skin this is going to be amazing for you. 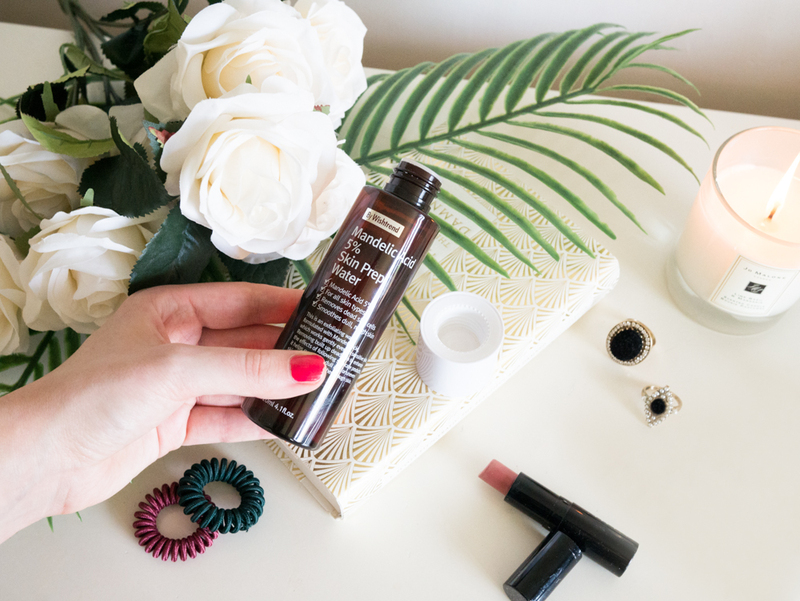 I apply Wishtrend’s Mandelic Acid to clean skin using a cotton pad and gently pat it on without being too rough. I don’t tend to use it in the morning, but if you do just make sure to apply an SPF afterwards as it can make you more sensitive to the sun. Mandelic Acid, Beta-Glucan, Panthenol, Centella Asiatica Extract and Sodium Hyaluronate. It’s perfect for sensitive skin types as it causes less irritation because of it’s bigger molecular structure. The skin prep water also includes Panthenol which is perfect for dry skin and it’s also great if you’re prone to acne or have scarring/pigmentation. 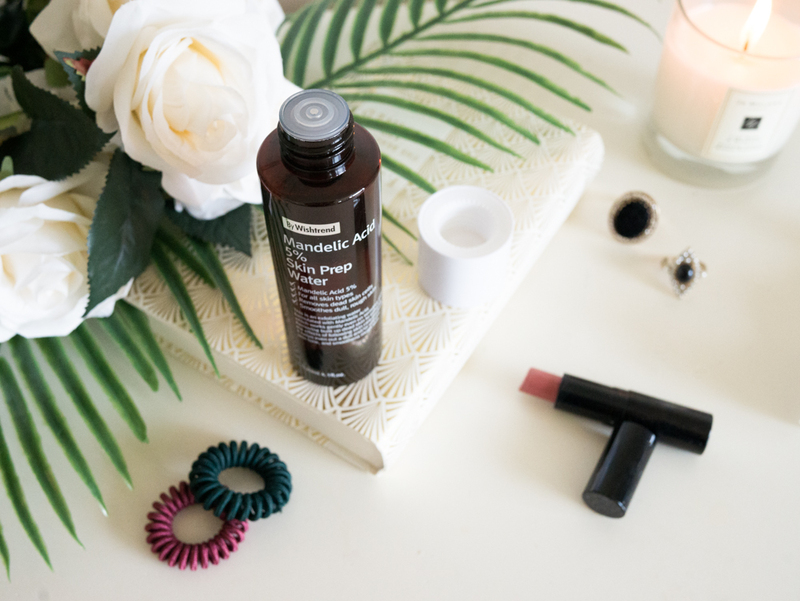 Why I love Wishtrend’s Mandelic Acid? The first time I tried this I put a small amount on my skin before going to bed as I was worried about how I would react. I haven’t tried a lot of acid products before and my skin doesn’t like salicylic so I wasn’t convinced that it would work for me. The next day I woke up looking insanely fresh and with way less pigmentation and redness but without a single bit of irritation. I feel like it really helped to clean up the texture of my skin too, it was way softer which gave me a better base for applying makeup. I also feel like my skin looks a lot fresher and brighter after using this. I’m not sure if that’s just because it softens the pigmentation but I definitely thought I looked healthier!